+ French chicken adrenaline rush ??? Am i dreaming or nerf incoming?? # its going to be work well with RDF when CV is not present. Just imagine you spam a lot of torpedo in RDF direction at the cap. Its likely will hit any DD on it, because 3x4 tube and 60 Knot is not slow. Also with RDF it can detect the direction of enemy DD that outspot you. This can be used to chase or avoid getting spotted by enemy DD. Main Battery Reload consumable, accelerating the reload of the main caliber guns by 50%. 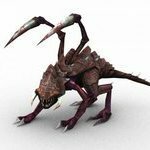 When fighting in them, it is necessary to properly use the advantage in speed and the ability over a short period of time to significantly increase firepower. They have good armor-piercing shells, which at high tiers can cause damage directly to the citadel of light cruisers from a distance of 8–10 km and heavy cruisers from a distance of 6–7 km. An inconsiderate cruiser, presenting broadside, can become an easy target! Let me give you a Thumb down first, because it's you. While the reload is good, still worse than German torps in speed and range. Damage is only slightly better. The speed is especially garbage for torpedoes on a T9 DD. Its 3x4 with less 50 sec reload i will spam it all day and its obviously gonna hit someone. You can count its have the most torpedo spam than any other DD. Its massive advantage over any torpedo boat. I am rarely use smoke.... And radar its not a problem since i am always spotted phew phew some gun. The biggest drawback is 7 sec reload and stupid turret traverse. Those 60 knots torps are just area denial. Kleber torps have speed and damage, now THAT is OP. Lmao. Try to see Z-46 in comparison. If Mogador is true really OP, people already screaming for Z-46, and there will be threads asking to nerf it all over the forum. I have a T10 Z-52. She has 52 sec torp reload, 2x4 rack, 10.5 km range, and 72 knots torp speed, the ship's stock speed is 37.5 knot. On top of that she has the best ever hydro acoustic in game (5.88 km circle), 6.4 km detection range, higher HP than Kleber, and 2nd best AA among all T10 DD. Do I spam torp all day? No, Des Memes spam HE on me all day. Did WG give back your Hakuryu? I thought you will leave if they didn't. Someone please tell me that i am wrong.. Forget the nerfed hakuryu, now we have Moooooogaddooouurrrr!!!!! I am not seeing any real positive that is markingly unique among the French DD line though it was modelled like the real historical ship ... namely that they are more like CL thinned down to paper thin armor with great speed, OK guns ( just OK ), and so so torp ... I still think WG had not come to term with how they can actually position DD in the current meta ... they have aim to made DD vanguard, that work on concealment, speed, topr and so and so but all of these are take away with buffed and buffed again Radar, or Radar, and CV and nerf to torp and DD efficiency ( try AA with a solo DD , won't work , you cannot even defend yourself ), they just do not understand or even know how to balance this type of ship for a play in the current tactical situation. And the game mechanic ( especially the rewarding system ) pretty much ask the player not to go out and do the prime duty of spotting, scouting, screening ( yeah many guns ask for these but the only guaranteed return is hail of enemy shells and almost certain death ). Try the fact that they cant hide. Because Mogador has 12 tubes and better reload than Z-46 then Mogador/Kleber is better torpedo DD than Z-46? Mogador has 4x3 torp tubes, but none of which are center-lined. Which means, to unload all torps, a turn around is required. Unlike Z-46 which doesn't need such thing. And BY THE WAY, Mogador's turning radius and rudder shift time is worse than Z-46. Not to mention the torpedoes having bad range and garbage speed. Mogador is OP? Try harder, cloned troll. A bit of turn when firing torp is not big deal. I do it everytime..... French CA have 2 side torp. Nah, i wonder its gun can phew phew at 15km. If its work, that is going to be good. Yes it is totally wrong. Please allow me to explain: Math on the paper should be also calculated against your opponent, not only the self capability. You might say you have the strongest katana in the world, used by the best elite samurai battalion. But when we talk about your battalion of elite Samurai armed with tamahagane blade katana fight against a squadron of USAF A-10 thunderbolt, that will be a massacre party; your elite Samurai will be served as barbeque. Now lets discuss about T9/T10 environment. Des Moines, Worcester, as well as their T9 sisters have 10.5 km radar. Moskva and Donskoi are even more fearsome with 13.5 km radar, except Salem has a weak 8.5 km radar. You can expect any one them will almost always present when you are playing in T9 or T10. So what is your torp range again? 9 km? When you need to torp someone, it means you must pushing deep inside their radar range. After you reach that 9 km away from target, you need to take circling maneuver to release it. That means, you are going to move even deeper closing to the target. Maneuver takes space and time. Now, you release your torp. The target sense it. What your torp speed again? 60 knots? It is easily dodge able. Even Fubuki on T6 has 2 knots faster torp. That 60 knots torps have similar performance of T6 Anshan torp. The 60 knots torp might work well on T6 environment. There are not so many radar boat there. But if you talk about T9/T10, we talk about speed approach, drop, leave. You late, you dead. Let say, your torp managed to hit. How much damage the torp will inflict? They do only a very slight better than Z-52. FYI, Z-52 is the weakest damage torpedo among all T9/10. Ah ok the France DD is slightly higher. So you are on the 2nd weakest torpedo rank now. Will you expect your target sink immediately like in T6? Sweet multiple hit with devastating strike achievement? I had intercept a Yamato with my Z-52 one day. She had 90% HP. I dropped the whole salvo of my torpedo rack right in front of her nose to her speaded belly from 2.5 km range. 100% full salvo hits. Did the Yamato sunk? Well, she got 65% HP left. After your target sense it, what next? RADAR on! You should run away, out from their radar detection. How fast is your speed? 30 knots? 47 knots? How much time you need to reach the edge of the radar to disappear? Let me share you an insight: Z-52 is able to drop farther 1.5 km away than the France DD. She also has 37.5 knots speed stock, 42 knots at engine boost active, and higher HP than the France DD. Is it means an easy life for Z-52? You can check the forum that people complaining about her survivability. It is a suicide play if a Z-52 tries to stealth torp like that. What thing that you can expect to endure? Des Moines of 203mm HE of 9 guns raining you every 5.5 sec (if the player not using gun reload mod. It will be faster with mods), Worcester of 152mm HE of her 12 guns raining you every 4.3 sec. Moskva of 220mm of 9 guns raining you every 10.4 sec. Do you think how many salvo you can endure? You will finish in 3 - 5 salvo if the ship is alone. It is not even if the target has companion who also shoot at you. Don't even mention Minotaur that has 2.5 sec reload. Maybe you will think, "Ah not every ship got radar. Zao didn't have one, so is Hindenburg". Yes they don't have radar, they have awesome hydro with long duration that sense your torp from afar. It means: easy to dodge (remember you have 60 knots lame torp. Don't even dare to compare with Z-52's 72 knots or even Shimakaze's best torpedo in the world). Besides, do you wanna intercept a Zao or a Hindenburg on the 2nd defense line? Go pass the first line first. Where there are Gearing, Yueyang, Daring, etc. Luring behind the island waiting for a careless torp boat that tries to sneak. Again, don't even dare to compare your 8.1 km "as seen from the moon" detection with Shimakaze detection of lower than 6km. Even the fat Z-52 has 6.4 km detection (with legendary upgrade mod). Wanna try a knive fight with a Gearing? Your France DD slow turret will not even have chance to land a shoot on a nimble ghost like them. I am not even calculate yet the hungry planes of Midway, Hakuryu, and Audicious that wandering around specially to scout DDs. Are you sure wanna say goodbye to the Smoke? Now you might think, "Ah I will play safe, play around my herd, spamming torp. Spray and Pray." Then your team will bitching on you for being useless. You are a DD. Your team expect you to do your job: scouting, capping, etc. Spraying torp out of nothing is just like telling the enemy "Hey, we are here! See the torp trail!". You will not score a hit, instead you are inviting cruisers lurking to find you. Maybe the scouting CV squadron too. Besides... Man...! the torp is only 9 km. Don't think the T9/T10 map is the same as T6 map. T10 map is huge. You will see 9 km is just a small circle around your boat. From the spec I see, I expect the France DD gameplay will be like Khabarovsk or Harugumo. Khaba and Haru do have really hard hitting torpedoes. They really stings hard. But you can ask every Khaba/Haru players here. They use their torp only for self defense when they are intercepted or cornered. They use their guns to work. That is a little insight about "what if" the T6 armament used in T10 environment. It is far from OP. It is not even considered competent. If you know your power but do not know opponent's power, your chance to be a victor is only half. If you do not know your own power, and do not know your opponent power, you will be succumbed in every battle. From the calculation you present, it is clearly you don't understand yet the ship's characteristics (I can understand, the ship is still on working progress). You also do not have any idea about what will you face in T10 environment. So, my opinion is: it is too early to say now if the ship is OP or underdog. Lets wait until it released, at least at the test server. Z-52 10,5km torps speed is 69 knots stock. Even if you can spam them like a T9 Kamikaze... But when can you launch them? Radar won't allow you too. Hydro won't allow you to. The concealment won't allow you to. Spam all you want, but 60 knots torps are so avoidable at T9 it's laughable. Even without Hydro or any preemptive spotting, they are still dodgeable by most cruisers and DDs. This is no more than an area denial tool, self-defense or a suicidal weapon. A Worcester can wade through the torps, pop radar then shot the s**t out of you with ease. A Hydro Mino can do the same, even faster. This line is horrible with the current stats. I'm going to add that torpedoes are hit and miss things. If luck has it that your target sails in a straight line to your predictions, then good. If your target WASD hax, you might be out of luck. Volume does compensate for it but can you effectively saturate an area? Plus the flooding buffs against torpedoes makes them now meh. Pardon me, but since when did Moskva and Donskoi has 13.5 km radar? Even Des Moines does not have 10.5 km radar, so does Worcester. Ah yes you are right. It must be my memory wrong about the numbers. Des Moines and Worchester has 10 km radar. Not 10.5 km. My bad, sorry for that. I must be mixed up with Z-52 Torpedo range. Moskva & Dmitri Donskoi have 12 km radar, not the 13.5 km I wrote. 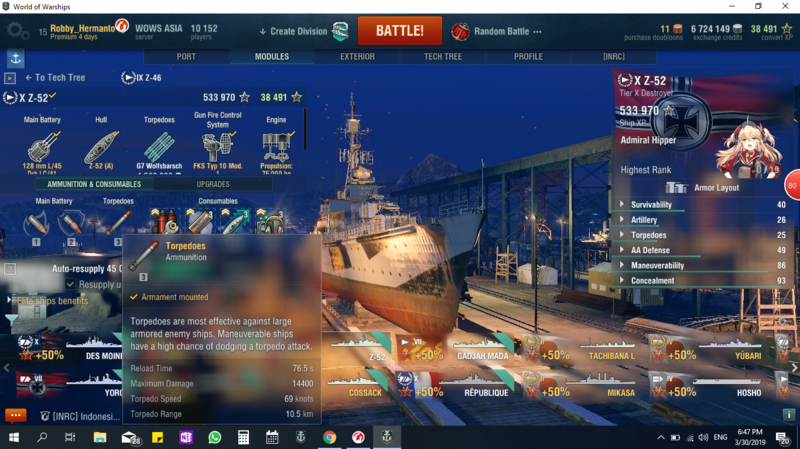 I don't have Moskva screenshot, but will provide it later from my friend's account. Yes you also correct. The correct speed for the stock is 69 knots. I was on captain perks that boost it to 74 knots. And it is also still wrong. I wrote it is 72 knots. Thank you for the correction. 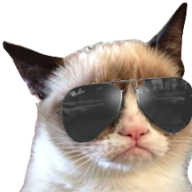 Despite the controversy and maybe some hate reaction, i actually like the opinion you guys bring. Nice post and well written but there is some wrong radar range, but i wont Deny 10km and 12km is still possessing danger. 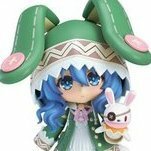 have unique characteristic compared to other DD, as a result its usually have serious drawback. Its purpose can be very depend on player and situation : VMF Grozovoi line, KM and Pan Asia DD. Based on your post, you are conventional DD player with Hybrid DD. That is why you think French DD is going to be sux. But i am the exact opposite of your playstyle, i like BBQ. Never go to cap and watch everything burn. Remember, Mogador is T9 DD. CV is Doom for conventional DD BUT blessing for French DD. It will be even more easier to phew phew BB or CA because everyone is spotted and there is no worry about cap, since any DD wont dare to come. Ally Cruiser usually firing from 15km-16km againts enemy, since your gun range is 15.6km with AFT only. You can firing at enemy while being close to Ally AA...... when the enemy DD remain useless, you go BBQ and deal some damage. 7 sec reload is not really problem againts enemy DD since it have reload booster that active for 15 sec. Reload speed can be less than 3.5 sec and that is enough to match Khabarovsk RoF for moment. The biggest problem will be traverse speed, reload booster should also fastening traverse speed. I hope the supertester complain more and there more noob playing it so it will be buffed with repair party. Soviet have slow reload and short danger torpedo. That is why its rarely use torpedo. 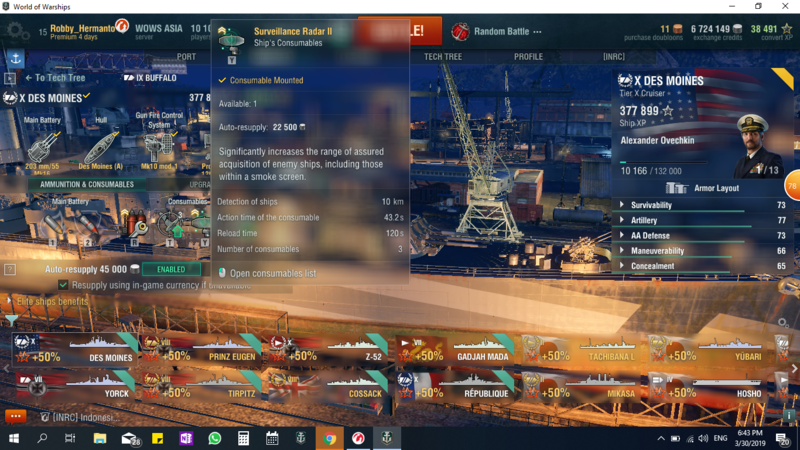 Cruiser wont spam radar unless there is enemy DD on the cap.... Also Radar is every DD problem, yet some DD manage to hit torpedo. Don't teach me about what is a DD. My opponents on the field already taught me well. If you think you are more experienced than me, just please post a picture of what Tier 10 DD you currently use and tell me how you use it. I will admit i am not really experienced with conventional DD. And sadly gunboat is the only thing that i can do decently. If WG don't over nerf Khabarovsk i will gladly post a pict. Kiev is the only fast gunbout high tier DD with Long torpedo that can invis torping, Tashkent and Khabarovsk have short torpedo and cannt invis torping. Also i have a restriction to only play DD with dual mount gun. So when i see Mogador, i am smell Khabarovsk MK2 playstyle. I don't care about cap and go BBQ all day. Fun is fun......If i care about winning i will better get CV or BB instead. I am a CV player, i behold the surface sheep all day and know exactly what DD doing. I drop bomb and torpedo to a DD inside smoke and hit. You are just cap slave and even don't know the exact range of radar. I am not teaching anyone, I SAID " i have the exact opposite of your playstyle ". You are the one trying to teach me how DD should be helpless againts radar and CV. We got a salty rheutoric right here when both sides haven't even put their hands on the dd in question. What's this , a consoneur inquisition ? How ships perform differ greatly with the person helming them , some are good with specific types and horrible with others. Even commentators are not good with certain ships and they rightly admit it. Just because you are horrible in it doesn't mean it will be horrible to someone else. The stats don't tell you anything , because you have never feel it in reality.